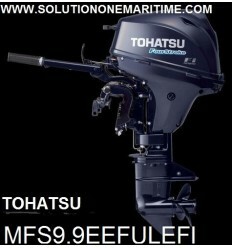 Tohatsu Outboards 9.9 HP- 20 HP There are 17 products. 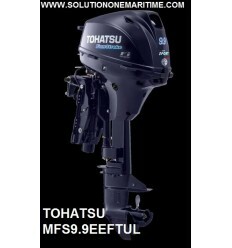 Tohatsu 9.9 HP 4-STK 2019 EFI Short Shaft [MFS9.9ES] Free Shipping The world's lightest battery-less electronic fuel injection four stroke outboard in it's class. Light, powerful, reliable and the most fuel efficient outboard in it's class. 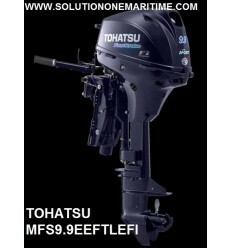 Tohatsu 9.9 HP 4-STK 2018 EFI Long Shaft [MFS9.9EL] Free Shipping The world's lightest battery-less electronic fuel injection four stroke outboard in it's class. Light, powerful, reliable and the most fuel efficient outboard in it's class. Tohatsu 9.9 HP 4-STK 2018 EFI Electric Tiller Short Shaft [MFS9.9EEFS] Free Shipping The world's lightest battery-less electronic fuel injection four stroke outboard in it's class. Light, powerful, reliable and the most fuel efficient outboard in it's class. Tohatsu 9.9 HP 4-STK 2018 EFI Electric Tiller Long Shaft [MFS9.9EEFL] Free Shipping The world's lightest battery-less electronic fuel injection four stroke outboard in it's class. Light, powerful, reliable and the most fuel efficient outboard in it's class. Tohatsu 9.9 HP 4-STK 2018 EFI Electric Tiller Power Tilt Long Shaft [MFS9.9EEFTL] Free Shipping The world's lightest battery-less electronic fuel injection four stroke outboard in it's class. Light, powerful, reliable and the most fuel efficient outboard in it's class. 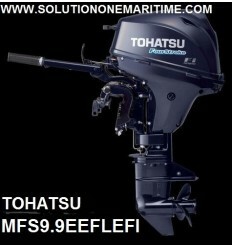 Tohatsu 9.9 HP 4-STK 2018 EFI Electric Tiller Power Tilt Ultra Long Shaft [MFS9.9EEFTUL] Free Shipping The world's lightest battery-less electronic fuel injection four stroke outboard in it's class. Light, powerful, reliable and the most fuel efficient outboard in it's class. 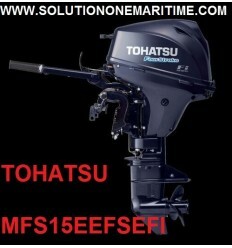 Tohatsu 15 HP 4-STK 2018 EFI Short Shaft [MFS15ES] Free Shipping The world's lightest battery-less electronic fuel injection four stroke outboard in it's class. Light, powerful, reliable and the most fuel efficient outboard in it's class. 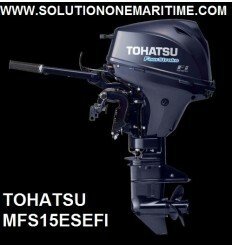 Tohatsu 15 HP 4-STK 2018 EFI Long Shaft [MFS15EL] Free Shipping The world's lightest battery-less electronic fuel injection four stroke outboard in it's class. Light, powerful, reliable and the most fuel efficient outboard in it's class. 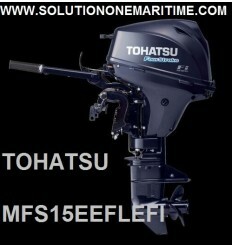 Tohatsu 15 HP 4-STK 2018 EFI Electric Tiller Short Shaft [MFS15EEFS] Free Shipping The world's lightest battery-less electronic fuel injection four stroke outboard in it's class. Light, powerful, reliable and the most fuel efficient outboard in it's class. Tohatsu 15 HP 4-STK 2018 EFI Electric Tiller Long Shaft [MFS15EEFL] Free Shipping The world's lightest battery-less electronic fuel injection four stroke outboard in it's class. Light, powerful, reliable and the most fuel efficient outboard in it's class. 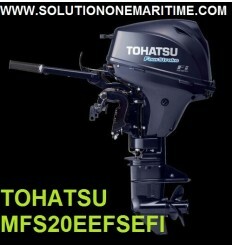 Tohatsu 20 HP 4-STK 2018 EFI Short Shaft [MFS20ES] Free Shipping The world's lightest battery-less electronic fuel injection four stroke outboard in it's class. Light, powerful, reliable and the most fuel efficient outboard in it's class. 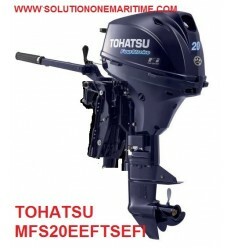 Tohatsu 20 HP 4-STK 2018 EFI Long Shaft [MFS20EL] Free Shipping The world's lightest battery-less electronic fuel injection four stroke outboard in it's class. Light, powerful, reliable and the most fuel efficient outboard in it's class. Tohatsu 20 HP 4-STK 2018 EFI Electric Tiller Short Shaft [MFS20EEFS] Free Shipping The world's lightest battery-less electronic fuel injection four stroke outboard in it's class. Light, powerful, reliable and the most fuel efficient outboard in it's class. Tohatsu 20 HP 4-STK 2018 EFI Electric Tiller Long Shaft [MFS20EEFL] Free Shipping The world's lightest battery-less electronic fuel injection four stroke outboard in it's class. Light, powerful, reliable and the most fuel efficient outboard in it's class. 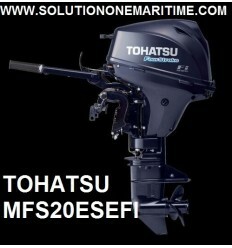 Tohatsu 20 HP 4-STK 2018 EFI Electric Tiller Power Tilt Short Shaft [MFS20EEFTS] Free Shipping The world's lightest battery-less electronic fuel injection four stroke outboard in it's class. Light, powerful, reliable and the most fuel efficient outboard in it's class. 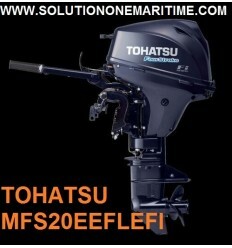 Tohatsu 20 HP 4-STK 2018 EFI Electric Tiller Power Tilt Long Shaft [MFS20EEFTL] Free Shipping The world's lightest battery-less electronic fuel injection four stroke outboard in it's class. Light, powerful, reliable and the most fuel efficient outboard in it's class. Tohatsu 9.9 HP 4-STK 2018 EFI Electric Tiller Ultra Long Shaft [MFS9.9EEFUL] Free Shipping The world's lightest battery-less electronic fuel injection four stroke outboard in it's class. Light, powerful, reliable and the most fuel efficient outboard in it's class.